Isambard Kingdom Brunel (1806-1859), Civil engineer. Sitter in 13 portraits. Lord Alfred Henry Paget (1816-1888), Politician and Royal official. Sitter in 8 portraits. John Trotman (1813-1892), Anchor maker. Sitter associated with 1 portrait. John Yates (active 1857), Secretary, Eastern Steam Navigation Company. Sitter in 1 portrait. 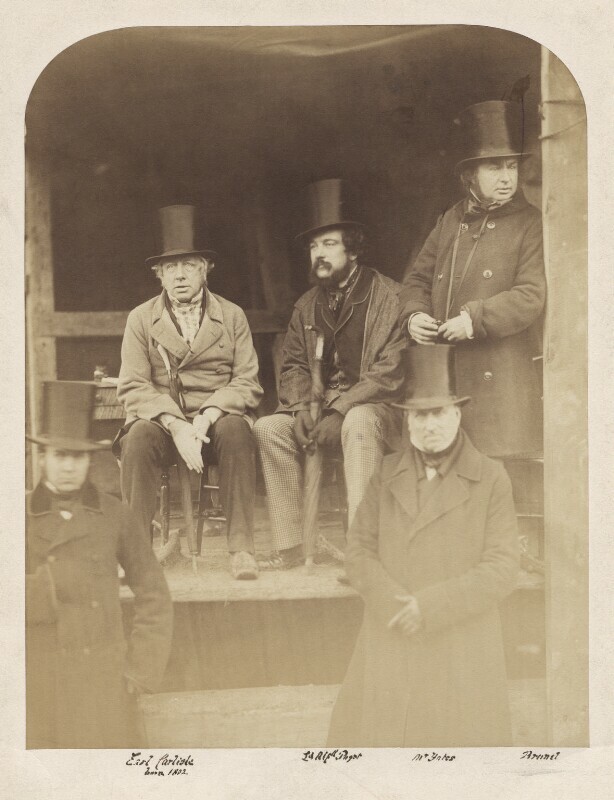 Robert Howlett (1831-1858), Photographer. Artist associated with 13 portraits.